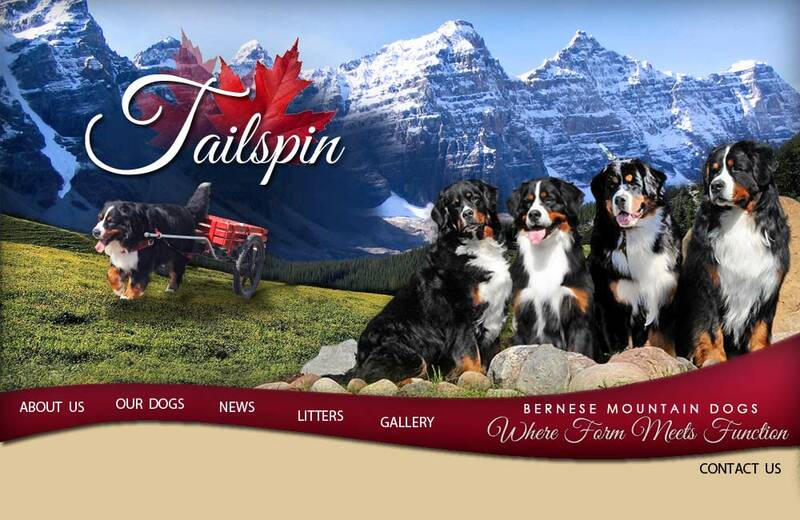 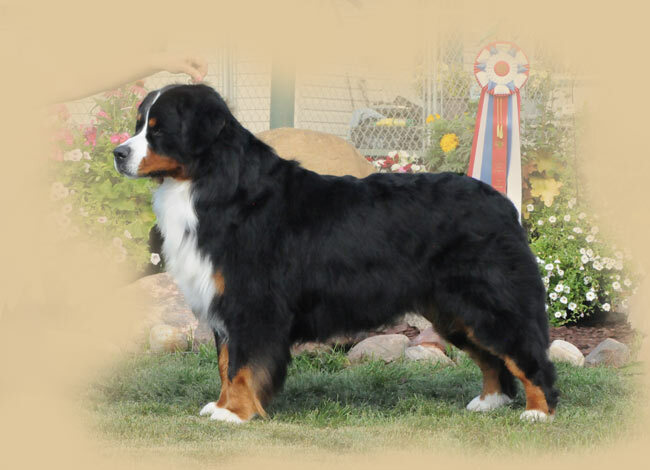 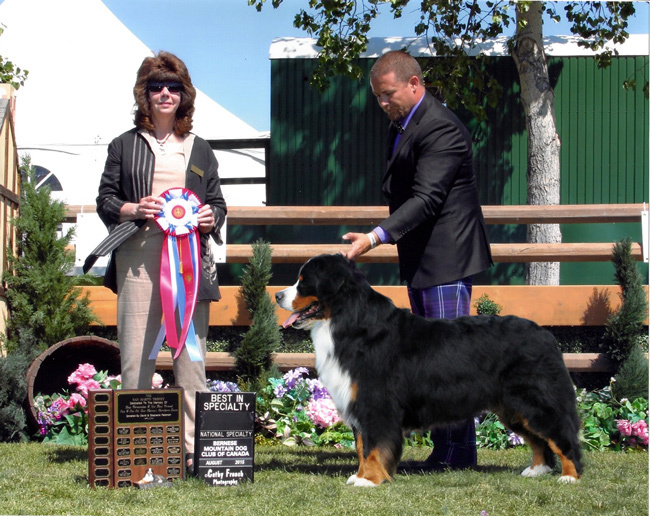 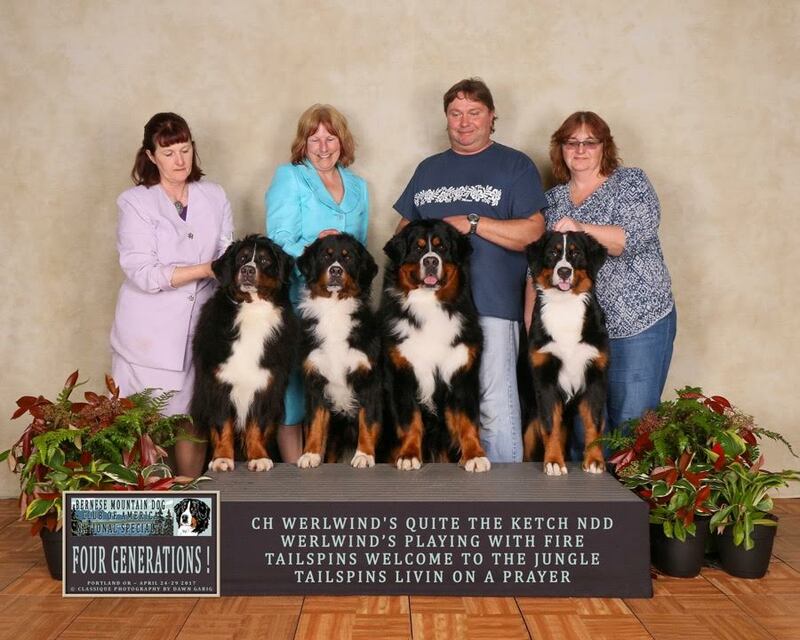 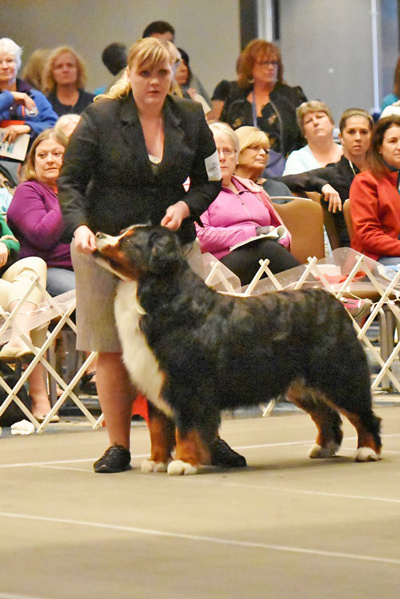 Jake, Placed in the Top 9 Male Berners. 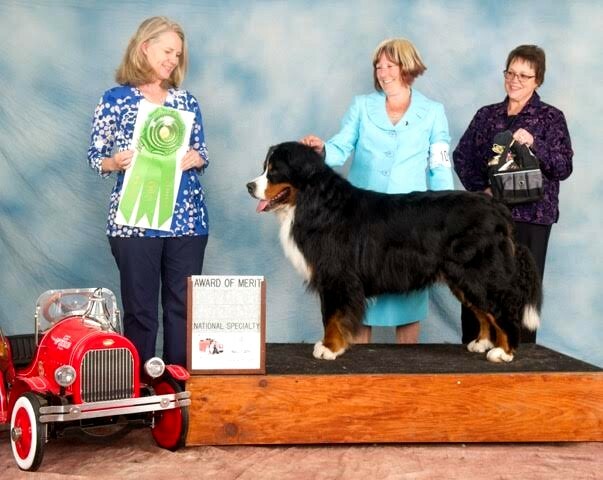 Handled by Angela Merfeld 2015 BMDCA National Specialty Monterey California. 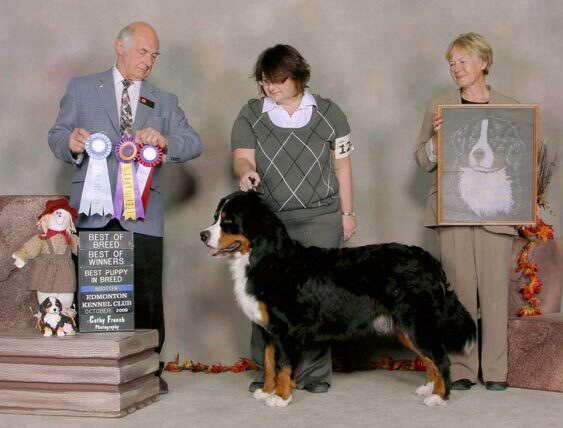 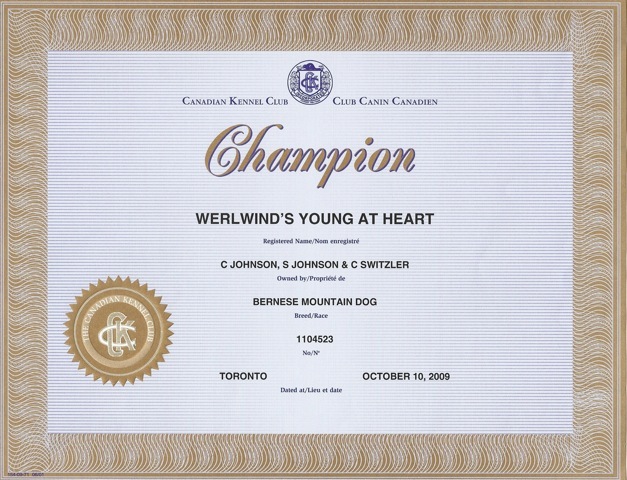 Jake finishes his CKC Championship at the booster in Edmonton in October 2009. 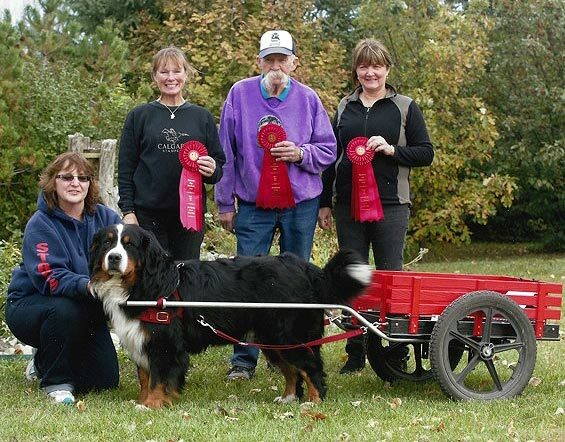 BOB, BOW and Best puppy in breed. 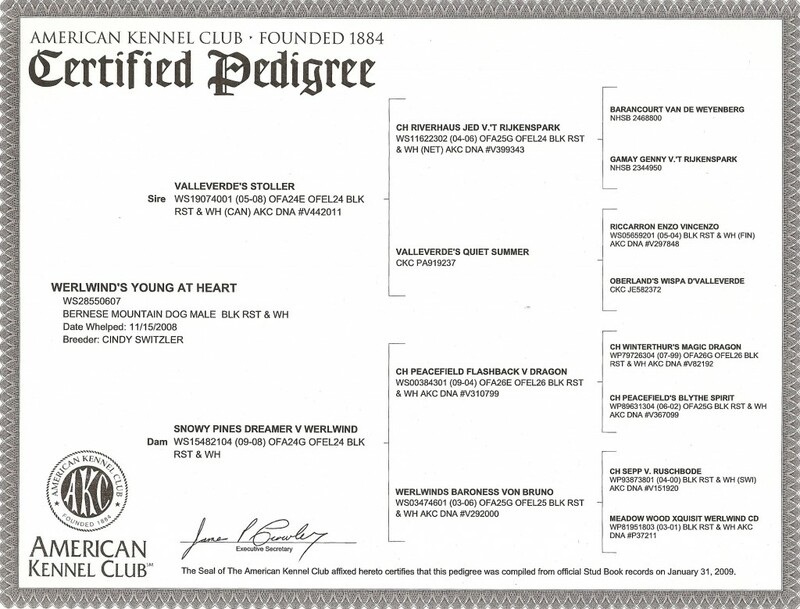 Handled by owner. 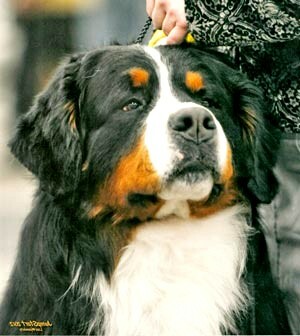 At 10 months old. 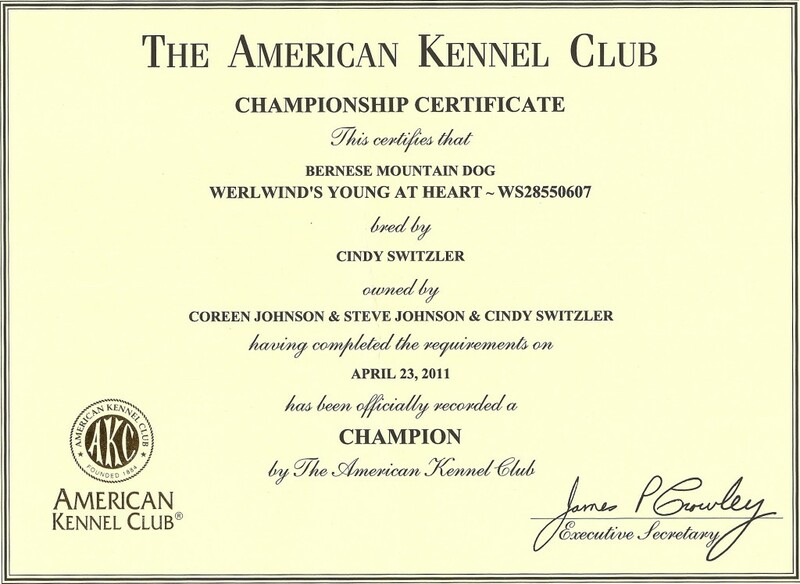 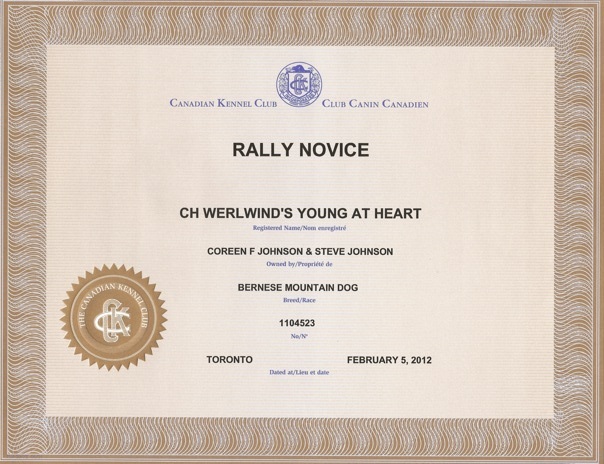 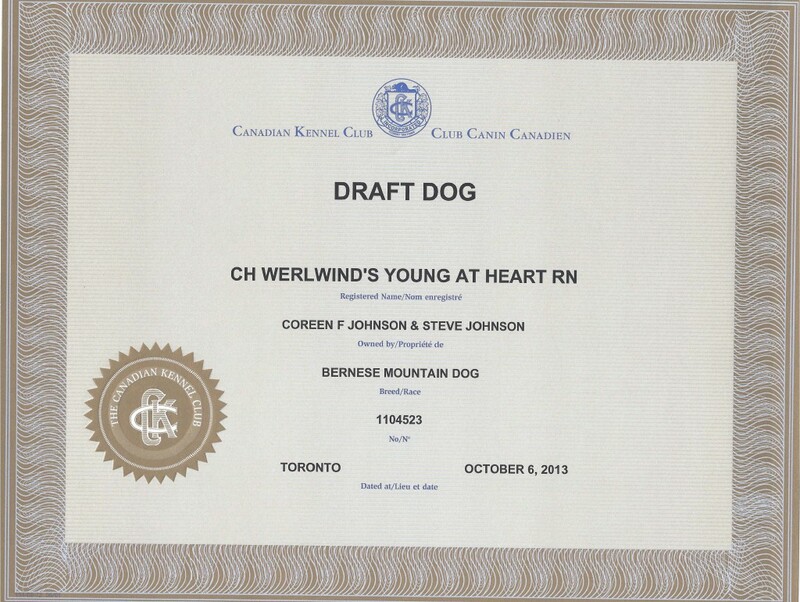 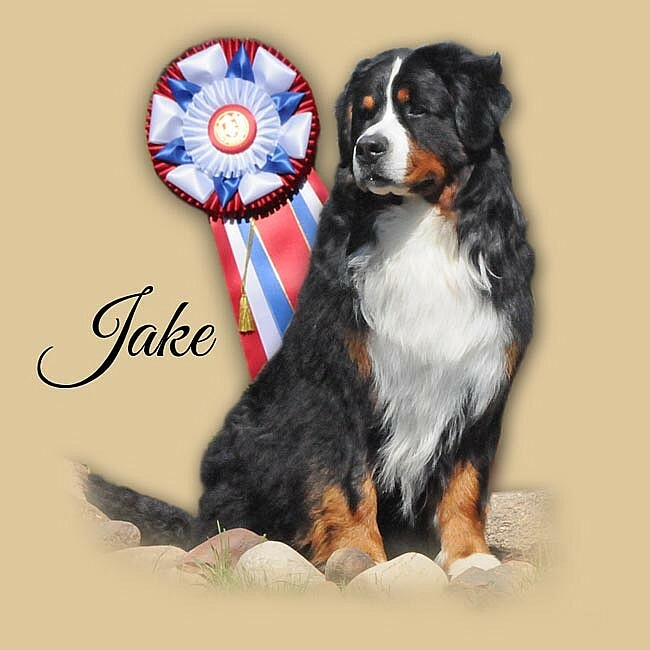 Jake has his Draft Dog title and his Rally title, proving he is not just a pretty face! 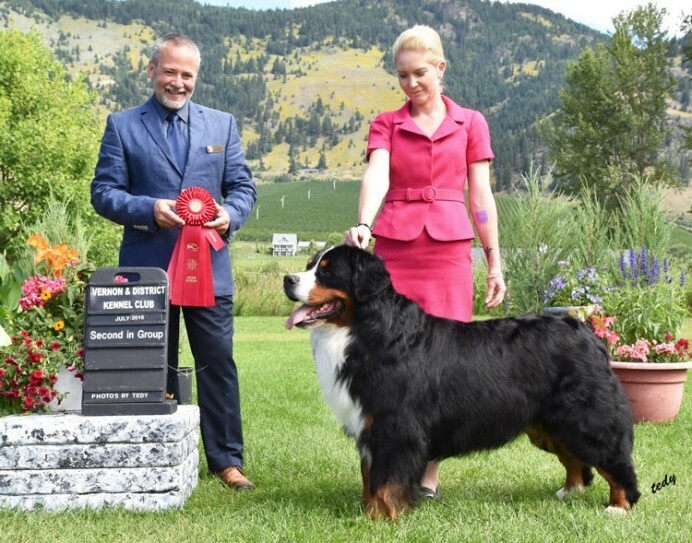 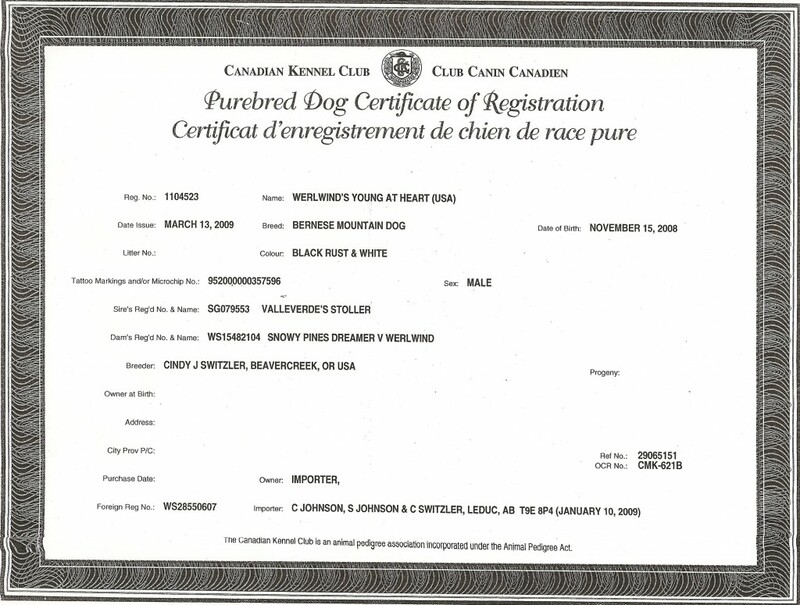 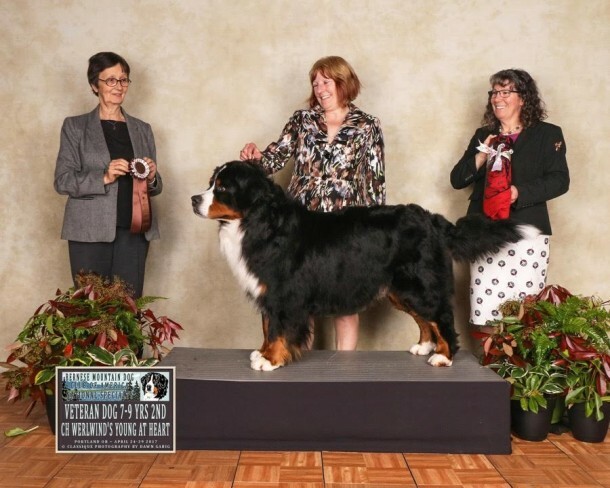 Jake wins BEST OF BREED AT the 2015 Canadian National!!! 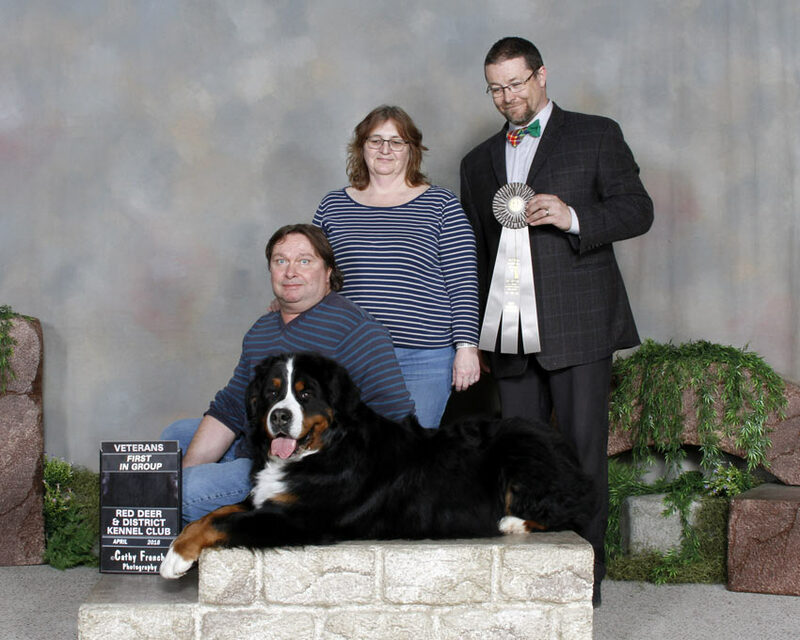 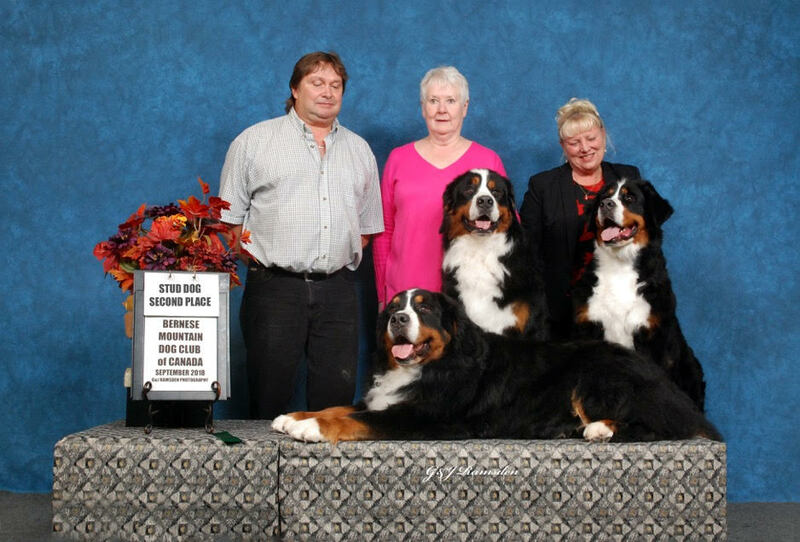 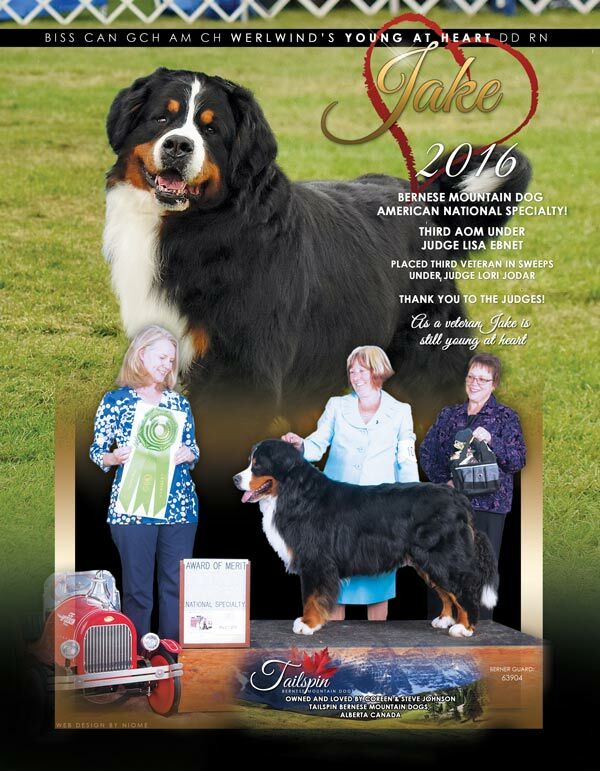 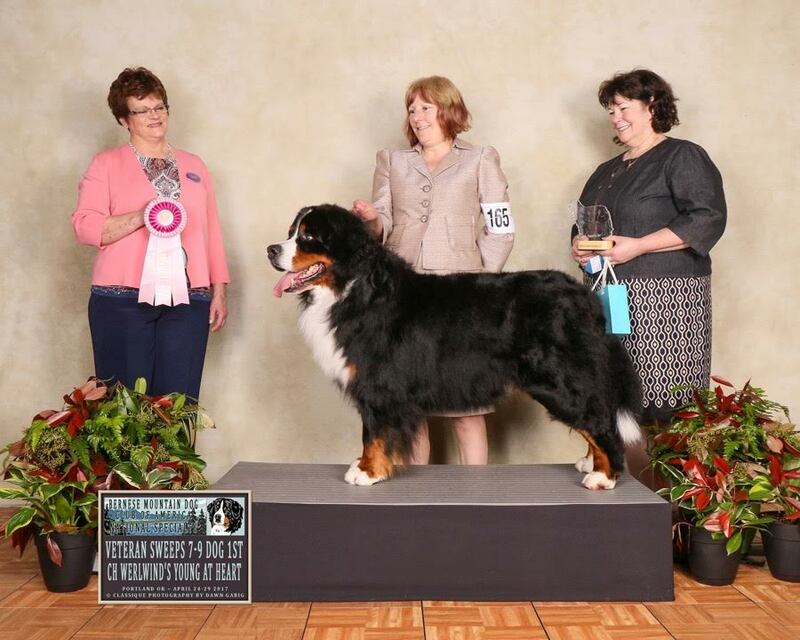 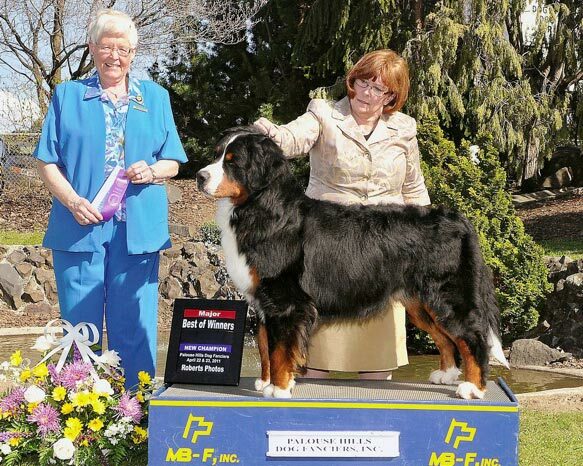 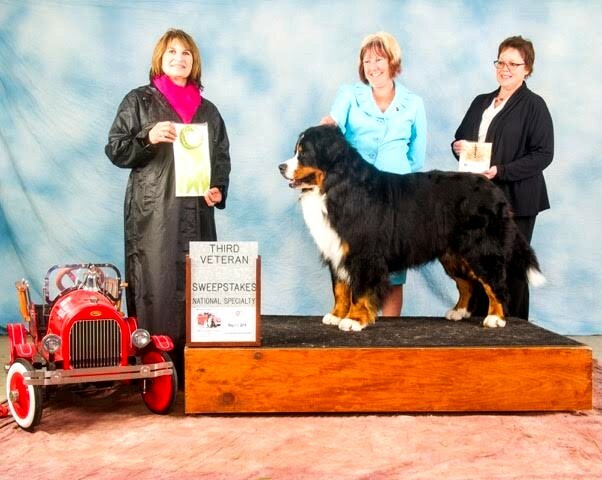 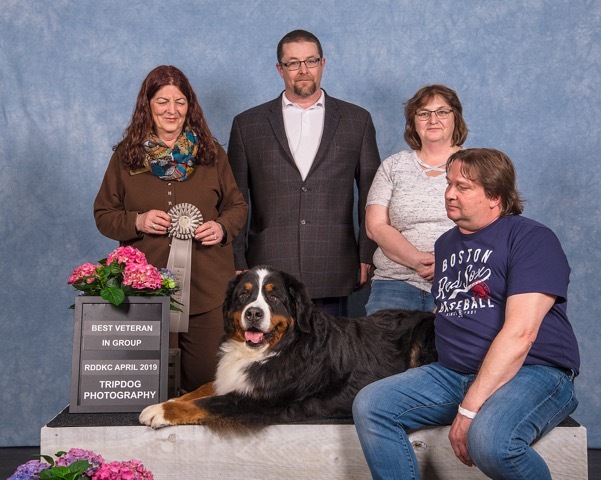 Jake wins the third AOM In the BOB at the 2016 Bernese Mountain Dog Club of America, in Frankenmuth Michigan under Judge Lisa Ebnet. 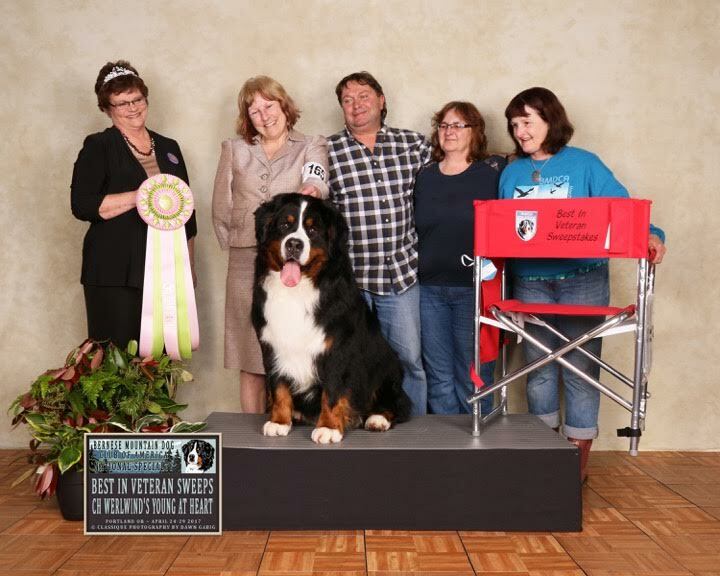 Jake wins third place in the Veteran Sweeps 7-9 male class at the 2016 Bernese Mountain Dog Club of America, in FrankenMuth Michigan. 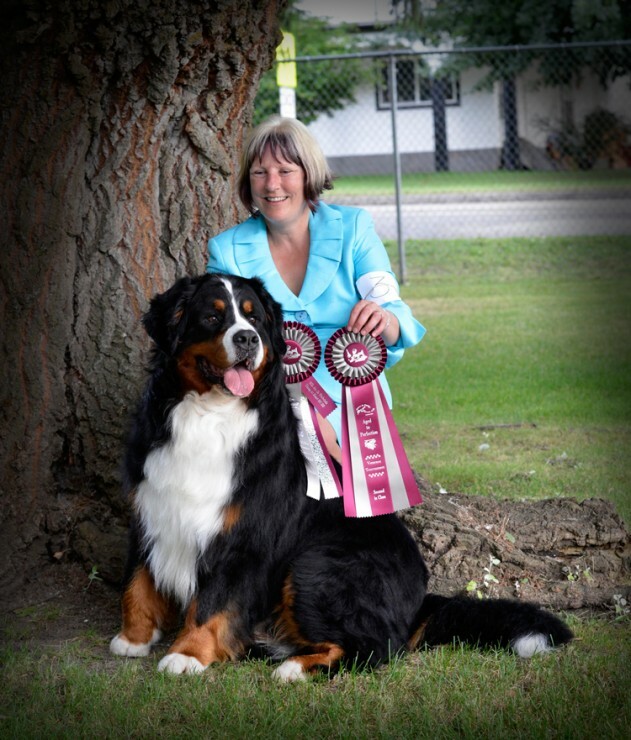 Veterans Judge Lori Jodar.